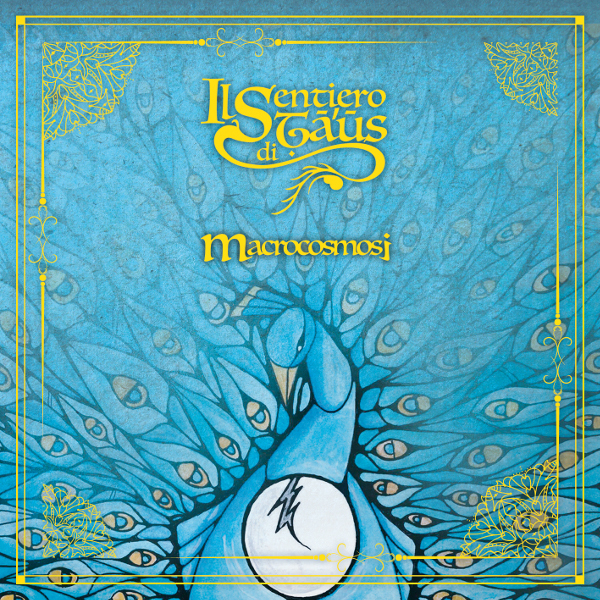 Here is another relatively new Italian progressive band, Il Sentiero di Taus, who have just released their second album, Macrocosmosi. Il Sentiero di Taus, Italian for the Path of Taus, is a band focused on the mythical Kurdistani holy man Melek Taus. Macrocosmosi is a concept album that relates the events, beliefs, and secrets of the Kurdish Yazidi sect of Mesopotamia. Arranged in nine tracks, the music is a mixture of mid-Eastern themes, Italian vocals, Mellotron, flute, strong bass lines, medieval madrigals, and prog rock all swirled together to create a neo-progressive rock opera. There are similarities to Osanna and Lino Vairetti on the music hall / circus tune “Genesi,” as well as Lupo and Il Tempio delle Clessidre on “Sorridi.” I did find the eight minute “Al Jilwah” to be somewhat sterile and a challenge to approach. The band seems to be straining too hard to be prog on this song. It sounds contrived, not relaxed or natural. However, the closing track “Adamo 2” is an excellent melodic Mellotron-laced symphonic ballad. The different musicians trade the melody back and forth. Assisted by Fabio Zuffanti, this album is a true kaleidoscope of ethnic, psychedelic, hard rock, and progressive music that provides a truly pleasant listening experience.